© Imasawa et al. ; Licensee Bentham Open. To prospectively assess the efficacy and safety of switching to bimatoprost monotherapy or brinzolamide and latanoprost combination therapy in patients who had been receiving latanoprost monotherapy. A prospective, open-label study was conducted. Patients with primary open-angle glaucoma or ocular hypertension who had been receiving latanoprost monotherapy for three months or more were enrolled. Bimatoprost was substituted for latanoprost in one eye (BIM group), and brinzolamide was added to the latanoprost in the other eye (BRZ group) simultaneously. The patients underwent examinations at 6 weeks (visit 1) and 12 weeks (visit 2) after changing therapies. Subsequently, the treatments were returned to latanoprost monotherapy. The patients underwent another examination 6 weeks (visit 3) after the return to latanoprost. The parameters examined were intraocular pressure (IOP), conjunctival hyperemia, and corneal epithelial damage. Twenty-six patients (13 men and 13 women) completed the protocol. Both groups showed a significant IOP reduction at visits 1 and 2 compared with the baseline, with a similar magnitude (BIM group: P = 0.016 at visit 1, P = 0.025 at visit 2, BRZ group: P = 0.0006 at visit 1, P = 0.028 at visit 2). The IOPs at the baseline and on visit 3 were similar in both groups (P = 0.7). The two groups showed no changes in either conjunctival hyperemia or corneal epithelial damage compared with the baseline. Bimatoprost monotherapy and brinzolamide adjunctive to latanoprost similarly reduced the IOP, with no additive adverse effects, compared with latanoprost monotherapy. Keywords: Bimatoprost, Brinzolamide, Glaucoma, Intraocular Pressure, Latanoprost. Reduction of intraocular pressure (IOP) is the only proven therapy for glaucoma  and anti-glaucoma ophthalmic solutions have been used for this purpose. Prostaglandin (PG) analogues are chosen as the first-line treatments for glaucoma in many cases because they effectively reduce IOP and have few adverse effects [2, 3]. Latanoprost was the first commercially available PG analogue and is the most widely accepted anti-glaucoma ophthalmic solution in Japan . However, if latanoprost fails to reduce IOP to target levels, switching medications or adding other anti-glaucoma medications should be considered. Bimatoprost has unique pharmacological properties [3, 5, 6]. Some previous reports have shown that bimatoprost has an IOP reduction potential that is similar to or greater than latanoprost and other PG analogues [7-13]. Study design. BIM: bimatoprost, BRZ: brinzolamide, IOP: intraocular pressure, W: week, M: month, * patients were asked not to administer brinzolamide in the morning on the examination day. Time course of the IOP of the BIM group. BIM: bimatoprost, IOP: intraocular pressure, W: week, N.S. : not significant, * P<0.05 vs. the baseline and the switch back, repeated measures ANOVA, bar=SD. Fixed-combination ophthalmic solutions have been reported to significantly reduce IOP in patients receiving monotherapy [14-16] and to achieve IOP-reducing effects comparable with using two ophthalmic solutions [17, 18]. However, particular care should be taken when using timolol, a β-blocker, in patients with respiratory and cardiovascular diseases. Carbonic anhydrase inhibitors (CAIs) have good potential for glaucoma therapy, and CAI adjunctive to latanoprost reduces IOP as effectively as a β-blocker and latanoprost combination . Therefore, the introduction of a CAI as an adjunctive therapy to PGs is another candidate for glaucoma therapy. Previous studies have reported the IOP-lowering effects of medications adjunctive to latanoprost, including timolol, dorzolamide, brinzolamide, and brimonidine [20, 21]. However, there are no reports in which differences in IOP reduction and adverse effects have been compared directly between switching to bimatoprost from latanoprost and adding brinzolamide to latanoprost monotherapy . We conducted a prospective study in which we compared the efficacy and safety of bimatoprost monotherapy and brinzolamide adjunctive to latanoprost, and the IOP-lowering effects of these two groups were compared with latanoprost monotherapy. This study was performed as a prospective, open-label, multicenter trial and was approved by the Ethics Committee of the University of Yamanashi and conducted in accordance with the Helsinki Declaration of 1975 (revised 2013). All the participants gave written informed consent. The inclusion criteria were as follows: 20 years of age or older; bilateral primary open-angle glaucoma, including normal-tension glaucoma (NTG), or ocular hypertension; and bilateral monotherapy with latanoprost 0.005% for three months or more. The exclusion criteria were as follows: any active ocular diseases except glaucoma; any ocular injury within six months prior to the study; a history of intraocular surgery, including laser treatment within two years prior to the beginning of the study period; any conditions preventing IOP measurement by applanation tonometry; and patients whose participation was regarded as inappropriate by the physician. Time course of the IOP of the BRZ group. BRZ: brinzolamide, IOP: intraocular pressure, W: week, N.S. : not significant, * P<0.05 vs. the baseline and the switch back, repeated measures ANOVA, bar=SD. After the scheduled examination, bimatoprost 0.03% with benzalkonium chloride replaced the latanoprost in one randomly selected eye (BIM group), and brinzolamide 1% was added to the latanoprost in the other eye (BRZ group). Bimatoprost was instilled at the same time that latanoprost was used, and brinzolamide was applied in the morning and evening with a 12 hour interval. The mean IOP measured at the time of study entry and prior to the change in medications was defined as the baseline IOP. The IOP measurements were taken at the same time of the day. The data obtained on the medication change day (baseline), and 6 (visit 1), 12 (visit 2), and 18 weeks (visit 3) after the medication change were analyzed. After the visit 2 examination, the medications were switched back to latanoprost monotherapy in both eyes without a wash-out. To investigate the trough IOP reduction by brinzolamide, the patients were asked not to administer brinzolamide in the morning of the examination day at visit 2. The detailed study design is depicted in (Fig. 1). Time course of the IOP reduction rate. IOP: intraocular pressure, W: week. Time course of a conjunctival hyperemia. W: week. Corneal epithelial damage was evaluated by a slit-lamp examination according to a previous study using the area (from A0 to A3) and density (from D0 to D3) grading method . The degree of bulbar conjunctival hyperemia was assessed by using a 5-point hyperemia grading scale (0: none, 0.5: trace, 1: mild, 2: moderate, 3: severe). Sample photo images were employed to classify corneal epithelial damage and bulbar conjunctival hyperemia. The data were analyzed with JMP 8.0 software (SAS Institute Inc., Cary, NC, USA), and the values are presented as the mean ± standard deviation. Differences in the results were assessed using repeated measures analysis of variance (ANOVA) and the Tukey-Kramer Pair test. Correlation in terms of IOP reduction rate between two groups was evaluated using Pearson correlation coefficient. The analysis of the degrees of conjunctival hyperemia and corneal epithelial damage was performed using a contingency table analysis. P values less than 0.05 were considered to be significant. A total of 27 patients were enrolled in this study. One patient was eliminated from the analysis due to a protocol violation. Thus, 26 patients (13 men, 13 women; age: 58 to 83 years; mean age: 69.9 ± 6.6 years) were studied. Figs. (2 to 4) show the IOP values and the IOP reduction rates of the BIM and BRZ groups during the experiment. The baseline IOPs were 16.9 ± 2.1 mmHg (BIM group) and 17.1 ± 2.0 mmHg (BRZ group), respectively. The IOP of the BIM group was significantly reduced at visit 1 and visit 2 to 15.2 ± 3.0 mmHg (P=0.016) and 15.3 ± 2.8 mmHg (P=0.025), respectively. The IOP reduction rates of the BIM group at visits 1 and 2 were -10.3 ± 13.7% and -9.4 ± 12.5%, respectively. The IOP of the BRZ group was also significantly reduced at visit 1 and visit 2 to 15.0 ± 2.4 mmHg (P=0.0006) and 15.8 ± 2.2 mmHg (P=0.028), respectively. The IOP reduction rates of the BRZ group were -12.7 ± 10.2% and -7.7 ± 10.2%, respectively. The numbers of patients showing same or more than 2 mm Hg of IOP reduction in the BIM group and the BRZ groups were 13 (50%) and 15 (57.7%), respectively. Switching back to the latanoprost monotherapy the IOP returned to baseline levels. IOPs at visit 3 were 16.6 ± 2.2 mmHg (BIM group) and 16.9 ± 2.3 mmHg (BRZ group), which was not significantly different from the baseline IOPs (P=0.7 in both groups). In the BRZ group, there was no significant difference between the IOP at visit 1 and at visit 2 (P = 0.19), although the IOP at visit 3 showed a higher value than that at visit 2. The BIM and BRZ groups had similar IOP reductions at all the visits (P > 0.2, Tukey-Kramer Pair test). Although switching to bimatoprost and adding brinzolamide tended to worsen conjunctival hyperemia and corneal epithelial damage, these effects were not significant (Figs. 5-7). The current prospective study indicates that bimatoprost monotherapy and brinzolamide adjunctive to latanoprost significantly reduced IOP compared with latanoprost monotherapy without having severe adverse effects, and the magnitudes of the IOP reduction between the two arms were similar. Time course of the area of corneal epithelial damage. W: week. This observation was consistent with previous studies [11, 12, 24-26] showing that bimatoprost has a greater potential for IOP reduction than latanoprost. Sato et al. reported that patients with NTG whose response to latanoprost was insufficient showed a further significant IOP reduction by switching from latanoprost to bimatoprost . These investigators reported that bimatoprost reduced IOP by another 1.9 mmHg (11.9%) 12 weeks after switching from latanoprost, which was similar to our 1.6 mmHg (9.4%) reduction at visit 2. Bimatoprost 0.01% and travoprost/timolol are both effective at reducing IOP in subjects with stable IOP control on latanoprost and timolol, but bimatoprost 0.01% is associated with less hyperemia . Adjunctive brinzolamide reduced IOP by 1.8 mmHg (12.7%) at visit 1, which is slightly lower than in previous studies [20, 29, 30]. One reason for this difference might be that the baseline IOP in the current study was lower than that in previous studies. 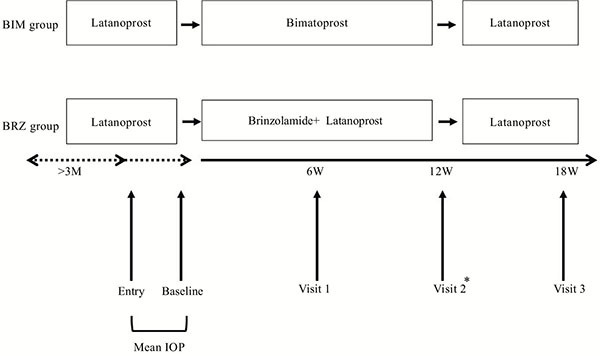 To ascertain the trough value of the IOP reduction when adding brinzolamide twice daily to latanoprost, we measured IOP without applying brinzolamide in the morning at visit 2. The mean IOP of the BRZ eye at visit 2 was reduced by 1.3 mmHg (7.7%) compared with the latanoprost monotherapy. The mean IOP reduction at visit 1, which was not an accurate peak value but was considered to be nearly a peak value, was 2.1 mmHg (12.7%). A previous systematic review showed that brinzolamide 1% added to latanoprost reduced IOP by 1.8 mmHg (10%) at the peak and by 2.8 mmHg (13%) at the trough compared with latanoprost monotherapy . Which is closer to our results. However, it is unclear in that review why the trough value was better than the peak for brinzolamide adjunctive with latanoprost. The same review suggests that the addition of timolol, dorzolamide, brinzolamide, or brimonidine to latanoprost can lead to an additional IOP reduction in those patients who were treated with latanoprost, and timolol 0.5% once daily might be the most effective of these drugs. Because PGs have a high potential for IOP reduction without severe adverse effects, they are considered to be the first-line drugs for glaucoma therapy. We reported that more than half of the patients required two or more anti-glaucoma ophthalmic solutions . It is important to determine which anti-glaucoma ophthalmic solution is suitable for the second-line drug. Beta blockers have some advantages compared with other anti-glaucoma ophthalmic solutions. Beta-blockers show the greatest IOP reduction when used adjunctively with anti-glaucoma ophthalmic solutions, [20, 31] and there are several fixed-combination anti-glaucoma ophthalmic solutions containing timolol. Some beta-blockers are available for daily use. However, beta blockers sometimes result in adverse systemic effects. In contrast, brinzolamide does not exert any adverse systemic effects. Ophthalmologists should select the second-line drugs based on personal experience. Time course of the density of corneal epithelial damage. W: week. Many previous studies have reported that bimatoprost has a higher incidence of conjunctival hyperemia than latanoprost [9, 24, 32, 33]. Sato et al. reported that there were no significant differences in the mean conjunctival hyperemia score between bimatoprost and latanoprost . Switching to bimatoprost slightly increased conjunctival hyperemia. Although the current study did not show a significant deterioration in conjunctival hyperemia, the small sample size may mask a significant change in conjunctival hyperemia. Kurts et al. reported that patients already on prostaglandin therapy may be less likely to experience an increase in conjunctival hyperemia induced by bimatoprost . Which may be another reason of the current result. There were no significant differences in corneal epithelial damage in the present study, which is consistent with the previous report . Bimatoprost has been reported to have some adverse effects in addition to those currently being investigated, such as increased eyelash growth and a deepening of the upper eyelid sulcus (DUES) [35-38]. In the current study, these adverse effects were not examined. Further study regarding these aspects is necessary. Our study has several limitations. The sample size was relatively small. The response to latanoprost therapy was not considered, which may have influenced the results. The current study used an open-label methodology, which has the possibility of bias in evaluation. In conclusion, switching from latanoprost to bimatoprost significantly reduced IOP as did brinzolamide added to latanoprost in patients who had been on latanoprost monotherapy. About half of patients showed same or more than 2 mmHg of IOP reduction by switching the medication in the current study. 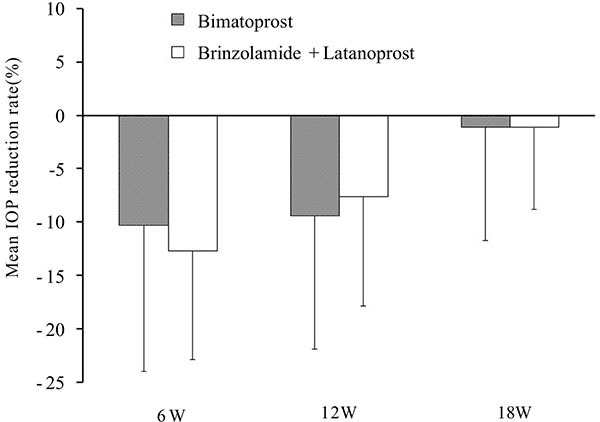 These results suggest that switching to bimatoprost from latanoprost or adding brinzolamide to latanoprost may be useful therapeutic options when an insufficient IOP reduction is observed in patients on latanoprost monotherapy. Authors deeply thank to Ms. Kazumi Okudaira and Ms. Kunie Ishihara for collecting and management of data in the study. Actis AG, Dall’Orto L, Penna R, Brogliatti B, Rolle T. An internal medicine perspective review of risk factors for assessing and progression of primary open angle glaucoma. Minerva Med 2013; 104(4): 471-85. Alexander CL, Miller SJ, Abel SR. Prostaglandin analog treatment of glaucoma and ocular hypertension. Ann Pharmacother 2002; 36(3): 504-11. Woodward DF, Wang JW, Poloso NJ. Recent progress in prostaglandin F2α ethanolamide (prostamide F2α) research and therapeutics. Pharmacol Rev 2013; 65(4): 1135-47. Kashiwagi K. Changes in trend of newly prescribed anti-glaucoma medications in recent nine years in a Japanese local community. Open Ophthalmol J 2010; 4: 7-11. Woodward DF, Krauss AH, Chen J, et al. The pharmacology of bimatoprost (Lumigan). Surv Ophthalmol 2001; 45(Suppl 4): S337-45. Smid SD. Role of prostaglandins and specific place in therapy of bimatoprost in the treatment of elevated intraocular pressure and ocular hypertension: A closer look at the agonist properties of bimatoprost and the prostamides. Clin Ophthalmol 2009; 3: 663-70. DuBiner H, Cooke D, Dirks M, Stewart WC, VanDenburgh AM, Felix C. Efficacy and safety of bimatoprost in patients with elevated intraocular pressure: a 30-day comparison with latanoprost. Surv Ophthalmol 2001; 45(Suppl 4): S353-60. DuBiner HB, Mroz M, Shapiro AM, Dirks MS. A comparison of the efficacy and tolerability of brimonidine and latanoprost in adults with open-angle glaucoma or ocular hypertension: a three-month, multicenter, randomized, double-masked, parallel-group trial. Clin Ther 2001; 23(12): 1969-83. Noecker RJ, Earl ML, Mundorf T, Peace J, Williams RD. Bimatoprost 0.03% versus travoprost 0.004% in black Americans with glaucoma or ocular hypertension. Adv Ther 2003; 20(2): 121-8. Dirks MS, Noecker RJ, Earl M, Roh S, Silverstein SM, Williams RD. A 3-month clinical trial comparing the IOP-lowering efficacy of bimatoprost and latanoprost in patients with normal-tension glaucoma. Adv Ther 2006; 23(3): 385-94. Li T, Lindsley K, Rouse B, et al. Comparative effectiveness of first-line medications for primary open-angle glaucoma: a systematic review and network meta-analysis. Ophthalmology 2015; 123(1): 129-40. Maruyama Y, Ikeda Y, Mori K, Ueno M, Yoshikawa H, Kinoshita S. Comparison between bimatoprost and latanoprost-timolol fixed combination for efficacy and safety after switching patients from latanoprost. Clin Ophthalmol 2015; 9: 1429-36. Oddone F, Rossetti L, Tanga L, et al. 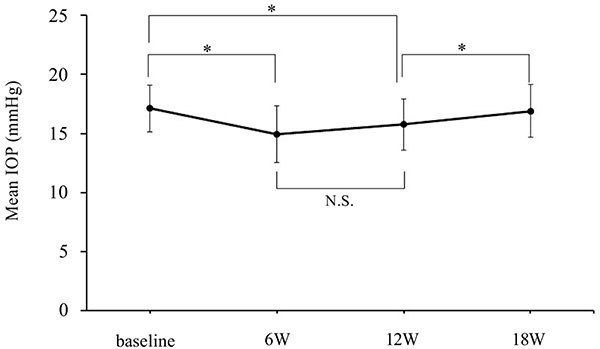 Effects of topical bimatoprost 0.01% and timolol 0.5% on circadian iop, blood pressure and perfusion pressure in patients with glaucoma or ocular hypertension: A randomized, double masked, placebo-controlled clinical trial. PLoS One 2015; 10(10): e0140601. Kashiwagi K. Efficacy and safety of switching to travoprost/timolol fixed-combination therapy from latanoprost monotherapy. Jpn J Ophthalmol 2012; 56(4): 339-45. Mandić Z, Novak-Laus K, Bojić L, et al. Safety and efficacy of monotherapy change to fixed combination (travoprost 0.004%/timolol 0.5%) in 6 months follow up period. Acta Clin Croat 2010; 49(4): 411-9. Pfeiffer N, Scherzer ML, Maier H, et al. Safety and efficacy of changing to the travoprost/timolol maleate fixed combination (DuoTrav) from prior mono- or adjunctive therapy. Clin Ophthalmol 2010; 4: 459-66. Denis P, Lafuma A, Khoshnood B, Mimaud V, Berdeaux G. A meta-analysis of topical prostaglandin analogues intra-ocular pressure lowering in glaucoma therapy. Curr Med Res Opin 2007; 23(3): 601-8. Noecker RJ, Awadallah NS, Kahook MY. Travoprost 0.004%/timolol 0.5% fixed combination. Drugs Today (Barc) 2007; 43(2): 77-83. Ishikawa S, Nakamura Y, Nakamura Y, et al. 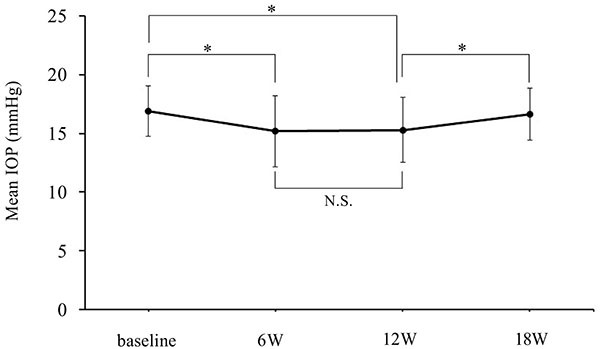 Efficacy and safety of combination therapy with latanoprost after a change in therapeutic regimen from timolol to brinzolamide in Japanese adult patients with primary open-angle glaucoma and ocular hypertension: open, non-randomized 12-week study. Clin Ophthalmol 2008; 2(4): 703-8. Cheng JW, Li Y, Wei RL. Systematic review of intraocular pressure-lowering effects of adjunctive medications added to latanoprost. Ophthalmic Res 2009; 42(2): 99-105. Zhang S, Wang H, Lu Q, et al. Detection of early neuron degeneration and accompanying glial responses in the visual pathway in a rat model of acute intraocular hypertension. Brain Res 2009; 1303: 131-43. Hodge WG, Lachaine J, Steffensen I, et al. The efficacy and harm of prostaglandin analogues for IOP reduction in glaucoma patients compared to dorzolamide and brimonidine: a systematic review. Br J Ophthalmol 2008; 92(1): 7-12. Miyata K, Amano S, Sawa M, Nishida T. A novel grading method for superficial punctate keratopathy magnitude and its correlation with corneal epithelial permeability. Arch Ophthalmol 2003; 121(11): 1537-9. Aptel F, Cucherat M, Denis P. Efficacy and tolerability of prostaglandin analogs: a meta-analysis of randomized controlled clinical trials. J Glaucoma 2008; 17(8): 667-73. Kawaguchi I, Higashide T, Ohkubo S, Kawaguchi C, Sugiyama K. Comparison of efficacy of four prostaglandin analogues by bilateral treatment in healthy subjects. Jpn J Ophthalmol 2012; 56(4): 346-53. Pfennigsdorf S, Ramez O, von Kistowski G, et al. Multicenter, prospective, open-label, observational study of bimatoprost 0.01% in patients with primary open-angle glaucoma or ocular hypertension. Clin Ophthalmol 2012; 6: 739-46. Sato S, Hirooka K, Baba T, et al. Efficacy and safety of switching from topical latanoprost to bimatoprost in patients with normal-tension glaucoma. J Ocul Pharmacol Ther 2011; 27(5): 499-502. Nixon DR. A randomized, prospective study of bimatoprost 0.01% or travoprost/timolol in patients previously treated with latanoprost and timolol to reduce intraocular pressure. J Ocul Pharmacol Ther 2013; 29(10): 876-81. Day DG, Hollander DA. Brimonidine purite 0.1% versus brinzolamide 1% as adjunctive therapy to latanoprost in patients with glaucoma or ocular hypertension. Curr Med Res Opin 2008; 24(5): 1435-42. Miura K, Ito K, Okawa C, Sugimoto K, Matsunaga K, Uji Y. Comparison of ocular hypotensive effect and safety of brinzolamide and timolol added to latanoprost. J Glaucoma 2008; 17(3): 233-7.
 van der Valk R, Webers CA, Lumley T, Hendrikse F, Prins MH, Schouten JS. A network meta-analysis combined direct and indirect comparisons between glaucoma drugs to rank effectiveness in lowering intraocular pressure. J Clin Epidemiol 2009; 62(12): 1279-83. Parrish RK, Palmberg P, Sheu WP. A comparison of latanoprost, bimatoprost, and travoprost in patients with elevated intraocular pressure: a 12-week, randomized, masked-evaluator multicenter study. Am J Ophthalmol 2003; 135(5): 688-703. Honrubia F, García-Sánchez J, Polo V, de la Casa JM, Soto J. Conjunctival hyperaemia with the use of latanoprost versus other prostaglandin analogues in patients with ocular hypertension or glaucoma: a meta-analysis of randomised clinical trials. Br J Ophthalmol 2009; 93(3): 316-21. Kurtz S, Mann O. Incidence of hyperemia associated with bimatoprost treatment in naïve subjects and in subjects previously treated with latanoprost. Eur J Ophthalmol 2009; 19(3): 400-3. Tsumura T, Yoshikawa K, Suzumura H, et al. Bimatoprost ophthalmic solution 0.03% lowered intraocular pressure of normal-tension glaucoma with minimal adverse events. Clin Ophthalmol 2012; 6: 1547-52. Eisenberg DL, Toris CB, Camras CB. Bimatoprost and travoprost: a review of recent studies of two new glaucoma drugs. Surv Ophthalmol 2002; 47(Suppl 1): S105-15. Manni G, Centofanti M, Parravano M, Oddone F, Bucci MG. A 6-month randomized clinical trial of bimatoprost 0.03% versus the association of timolol 0.5% and latanoprost 0.005% in glaucomatous patients. Graefes Arch Clin Exp Ophthalmol 2004; 242(9): 767-70. Aihara M, Shirato S, Sakata R. Incidence of deepening of the upper eyelid sulcus after switching from latanoprost to bimatoprost. Jpn J Ophthalmol 2011; 55(6): 600-4.